Passed Colorado emissions again. YAY!!!! 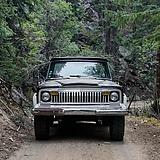 This is a 1987, with stock AMC 360 with GM TBI with timing control. IM240 test. On the dyno. I'm guessing the high NOx is due to no EGR. congrats buddy! I bet you are right in that if you had an EGR (which I think you are supposed too...) the NOx would be much lower. Congrats Ethan, another year of limo fun! For the sake of this thread, you don't HAVE to have EFI for good E-Test numbers. 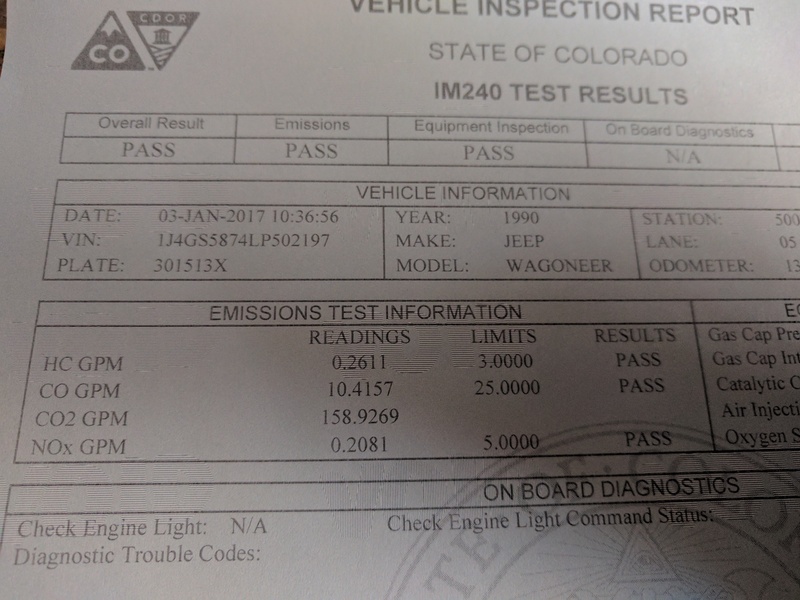 These are my IM-240 results from the old 360 and stock carb. BUT that was with a fresh cat and EGR. I'll bet that Ethan's numbers would beat mine under the same conditions on his TBI tune! The new cat makes a massive difference per my experience and the above.